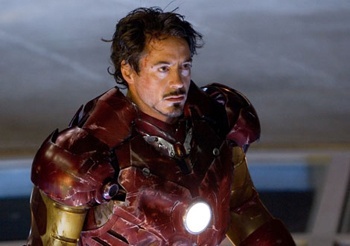 Sorry Jackie Chan, but Robert Downey Jr. is still Iron Man. Putting to rest fears that he might be tired of the gig, Robert Downey Jr. has signed a two-picture deal to reprise his role as billionaire genius Tony Stark, better known to the world at large as Iron Man. The deal will see him play the Armored Avenger in the next two Avengers flicks. It's not known how much money he earned for signing on the dotted line, but it's almost certainly more than anyone else in the cast and quite possibly more than all of them combined. Not that it wouldn't be worth however many money trucks Marvel rolled up to his door: The last two films in which Downey appeared as Iron Man, The Avengers in 2012 and Iron Man 3 this year, are two of the five top-grossing films of all time, earning more than $2.7 billion between them. The Avengers 2 is being written and directed by Joss Whedon and is slated to hit theaters in the U.S. on May 1, 2015.